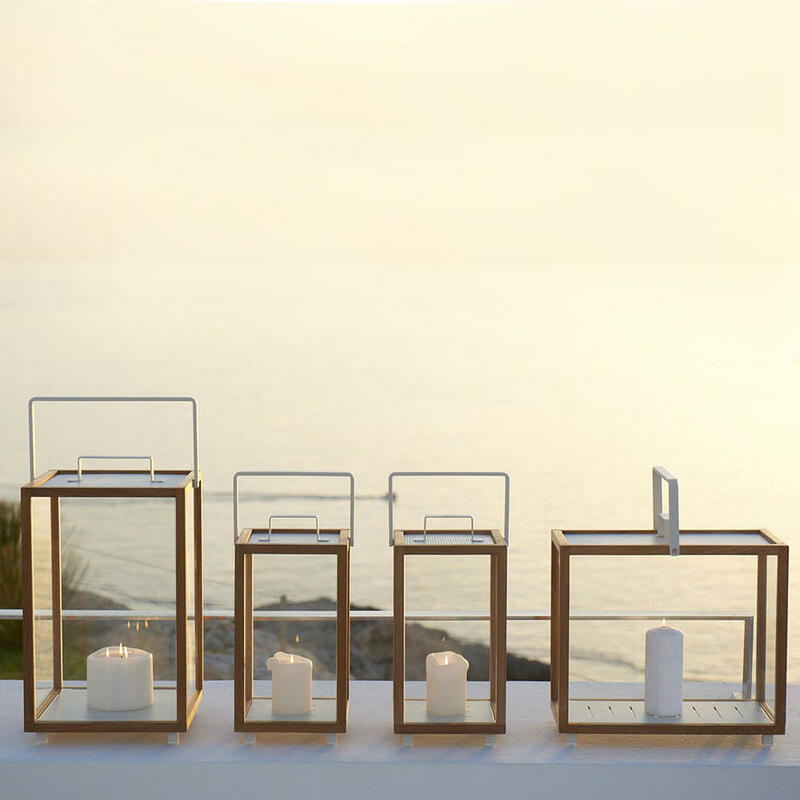 Large statement piece lanterns for alfresco living. 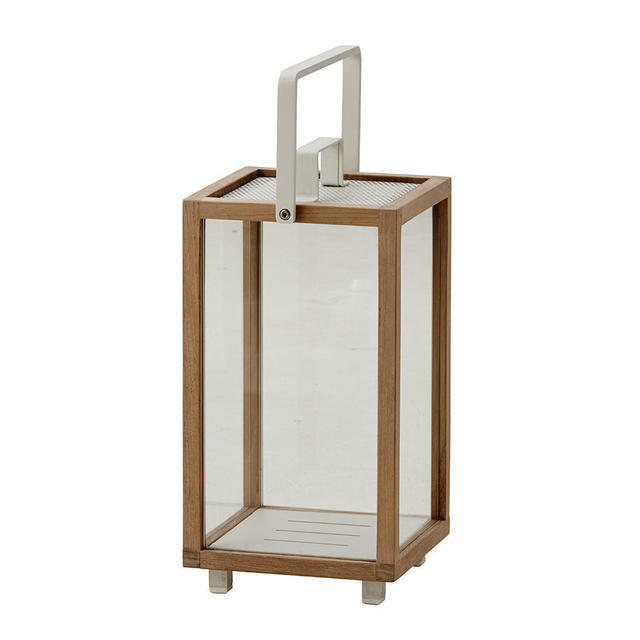 Sometimes just one simple item is needed to make a statement in your outdoor space and the teak Lighthouse lantern is just one of these items, it fits into every environment whether it be outdoors or indoors. The lighthouse lantern is perfect in your garden or terrace on warm summer evenings. Or take influence from the Scandinavians and keep a candle lit by your front door to welcome visitors on chill winter evenings. 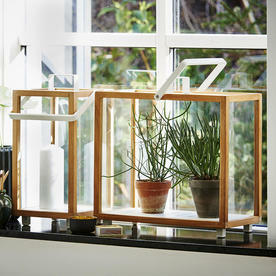 This versatile lantern is large enough to be used as an 'urban greenhouse',and keep herbs or pot plants in it. 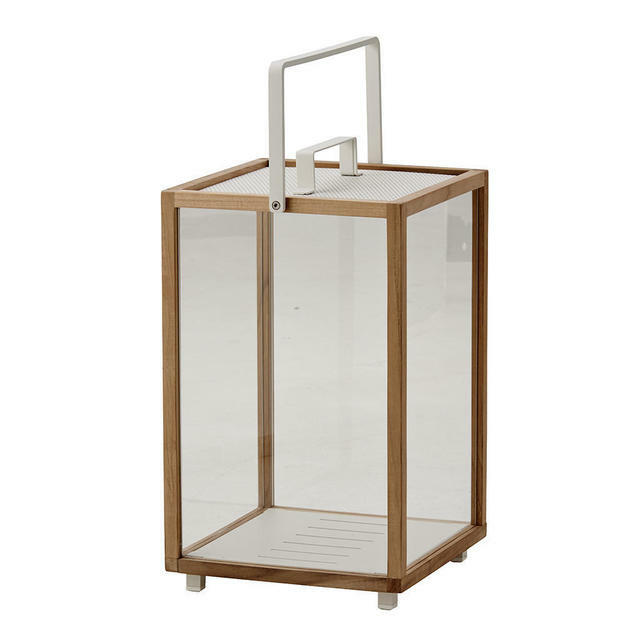 The design of the lantern helps with cleaning. 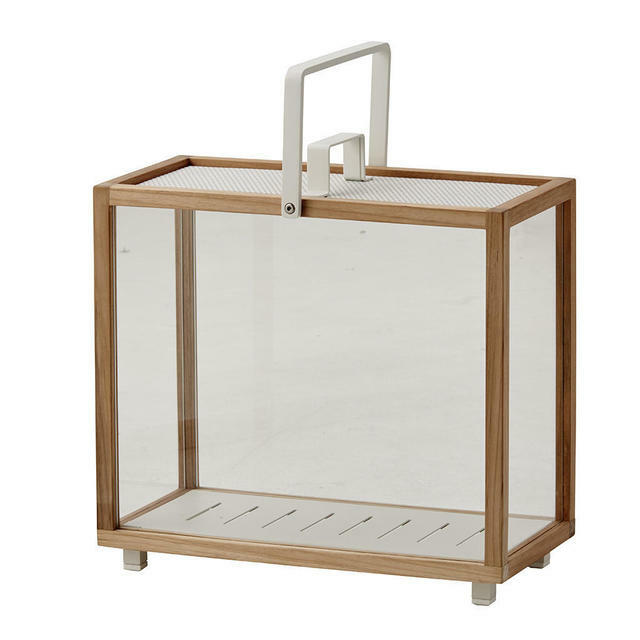 The slatted base and perforated mesh at the top allows the air to circulate, helping keep the glass cleaner than normal hurricane lanterns. 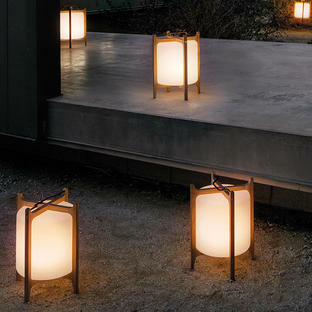 The solid metal lid has a perforated edge, allowing the air to circulate but yet protecting the flame from the elements. 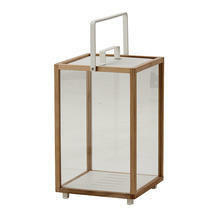 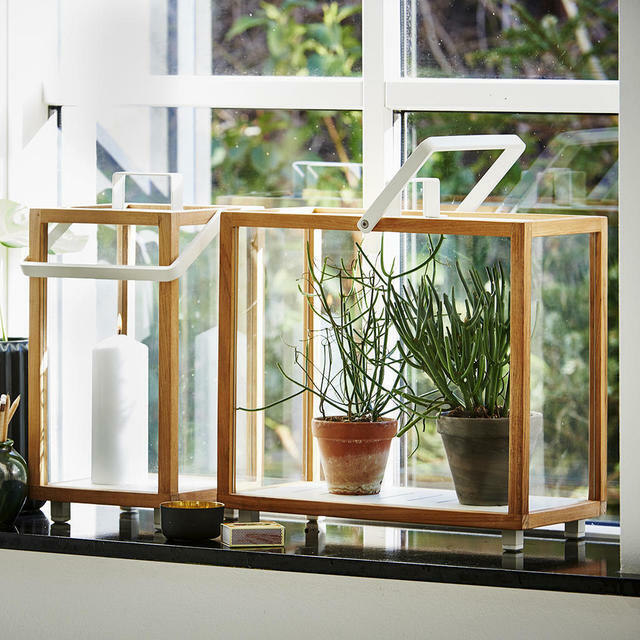 The lantern is made from all-weather white powder-coated aluminium with teak trim. Made from Cane-line Powder Coated Aluminium with a Cane-line Teak trim.